Most nonprofit professionals believe that their organizations have the most success when their boards help with fundraising. However, too many charities do not require their board members to donate to the organization or even engage in fundraising. They do not bring up the issue at all or just encourage participation but don’t require it. Such timidity only results in weaker and less engaged boards. Why should nonprofits require board members to give? Because it is the best way to ensure that each board member has “skin in the game.” Personal giving sets the stage for engaged fundraising by board members. One of the responsibilities of boards is to help the organization become financially healthy. Indeed, boards have a fiduciary duty to help the organizations with which they've engaged raise funds, and use those funds responsibly in service to its mission. How does requiring donations from board members create a healthy financial climate and keep board members engaged? Although board giving sets the stage for successful fundraising, the amount of money the board provides matters less than what individual board members do to bring in other donors. Personal giving is just the start. Committed board members go far beyond that first step. 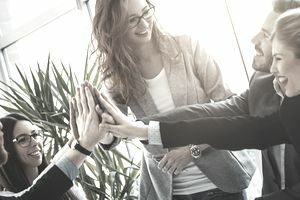 The connection between organizational success and board participation in fundraising was proven by research from the Nonprofit Research Collaborative (NRC). NRC studies of board giving and engagement performed in 2012 and 2015 confirmed that effective fundraising by nonprofit board members helped charities meet their fundraising goals. However, defying a common belief that the chief contribution of board members to fundraising success lay in their personal giving, their research found that other activities accounted for much more. For instance, although 57 percent of the charitable organizations in the study required board donations, only ten percent or less of total donations came from gifts by board members. What was the most important thing that board members did? Request donations to their organization from family and friends. James D. Yunker, Chair of the Giving USA Foundation and a member of NRC, says, "That simple step is probably the single most important thing an organization can do to engage board members in fundraising. It is associated with meeting fundraising goals for all sizes of organization, proving again that fundraising is all about relationships." The proof lay in the research numbers. Sixty percent of the organizations where board members helped with fundraising met their fundraising goal. Meanwhile, just 53 percent of those without board engagement did so. Only 13 percent of the smallest organizations required a minimum gift from board members. Of those organizations with budgets of $10 million, only 27 percent required a minimum donation. Having a board-level development committee increased the chances that an organization met its fundraising goal (63 vs. 52 percent). When board members were asked to make requests to friends or business associates for financial contributions, those organizations met their goals more frequently than those that did not ask board members to take these actions. Larger boards are not necessarily better. Boards of 30 or more were no more effective when it comes to fundraising than smaller boards of 21 to 30. When organizations required minimum donations from board members, the median amount was $1,000. Arts organizations required a median of $2,000 while educational nonprofits had a median minimum of $2,500. Nonprofit organizations listed eleven effective approaches to engaging board members in fundraising. The most consistently effective among them were easy: thanking donors or sharing a mailing list. Others required a bit more of members -- commitments such as participating in face-to-face meetings with donors, making personal introductions, or hosting small meet-and-greet events for prospective donors. Overall, successful organizations used an array of opportunities for board members to participate in fundraising. They also focused on expanding the pool of prospective donors through the existing contacts of their board members. Other research, cited by the NRC, has shown that board member engagement provides credibility for the organization and access to networks and resources. Require a minimum donation from board members. The amount is less important than that everyone gives. Set up a development or fundraising committee made up of board members. Involve the group in planning and monitoring fundraising efforts. Give every board member a fundraising task. Particularly important, and something anyone can do, is asking friends and family to donate.